Will robots take the jobs of athletes? Robots are becoming more and more integrated in our lives. They already are a familiar sight in the workplace, but with new products such as the robot vacuum cleaner and the automatic lawnmower they are also becoming a common presences in our household. The videos in this blog are more from a comic point of view than of a sports one. However it's something to think about. Is robotic sports the future? Will robots take the jobs of athletes? They are never tired, don't get injured and do not unionise. It's not a question of if but more of when will they surpass us in sports. Computers are already unbeaten-able at chess and it's a matter of time when they will conquer the next sport. For example: The RoboCup World Cup contest is aimed at developing a team of fully autonomous, cooperative, humanoid robots that can beat the best human soccer player. They want to reach that goal by 2050. 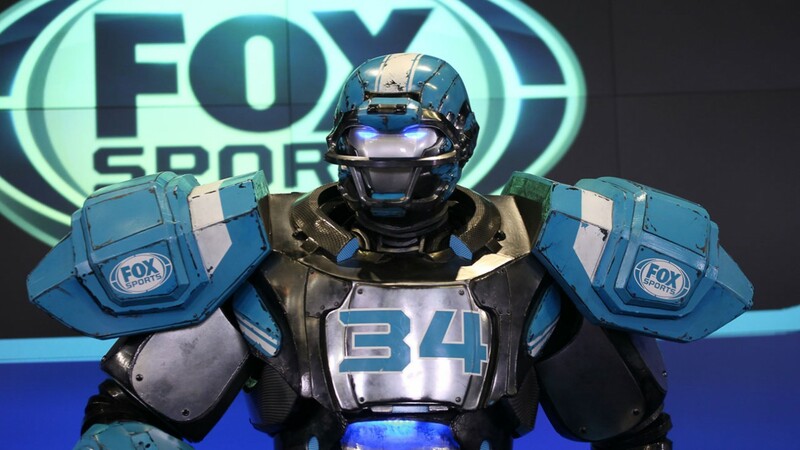 Will robots replace athletes as the protagonists in sports? The big question that remains is will Robotic sports also become more popular than regular sports? That remains to be seen. Emotions play a big a role within sports and thats one thing robots lack so far. There is also a chance that it will make sports very predictable. For example: two teams who both have unbeatable goalkeepers, two baseball teams who have perfect pitchers or basketball teams with unbeatable defense. If two perfect teams or athletes will compete against one another the result will always be the same, a draw. We at Týrsday follow the rise of the robot athletes with a close eye. At this moment create great stories and especially the man versus machine story is one we are eager to tell. And let's be honest: robots look good, so they cater for great content. And let's be honest: robots look good, so they cater for great content.